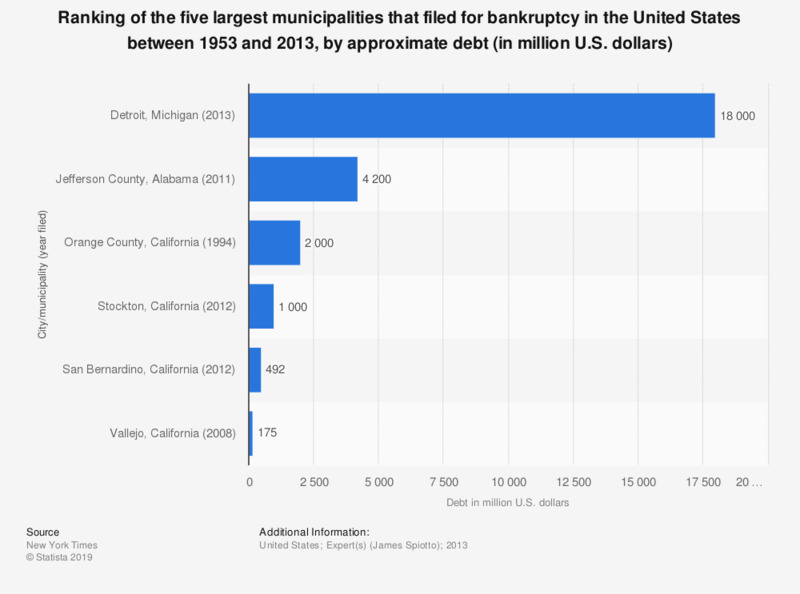 This graph shows a ranking of the five largest municipalities in the United States that have filed for bankruptcy between 1953 and 2013, sorted by approximate debt. In 2013, the city of Detroit filed for bankruptcy with an approximate debt of 18 billion U.S. dollars. Detroit's debt includes $9.2 billion in unfunded pension and health benefits.